There's no better way to start your day than with a little new music from Sia: On Thursday, Sia premiered her new single, "Alive," and it's going to blow you away. The powerful tune serves as the lead offering from the 39-year-old Australian artist's upcoming new album, This Is Acting , which she told NME in February is comprised of songs she wrote for other people. Interestingly, Sia reportedly penned "Alive" with Adele for her next LP (which allegedly has a release date, by the way), but it didn't make the final track list. So, she decided to record it herself — and I'm so glad she did. During the first verse, Sia sings about enduring a tumultuous childhood: "I was born in a thunderstorm/I grew up overnight/I played alone/I played on my own/I survived." In the first half of the chorus, she repeatedly reminds herself that she's "still breathing" as the instrumental begins to swell in the background. Eventually, she works up the courage to boldly declare, "I'm alive!" and the track explodes into the kind of soaring refrain we've come to expect from Sia, her voice occasionally cracking under the emotional weight of the lyrics. It's spectacular. Check out "Alive" below. Sia reportedly told RTV Slovenija during a recent interview at the Venice Film Festival that "Alive" was written about Adele's life, and thus, she's performing it from her "perspective." But, strangely enough, it's hard to imagine Adele pulling off the song better than Sia (and I happen to think the British diva can sing just about anything). When I first learned that "Alive" had been rejected from Adele's forthcoming project, I was pretty disappointed. But now, having heard the anthem myself, I'm starting to think maybe it was for the best! As they say, "Everything happens for a reason." 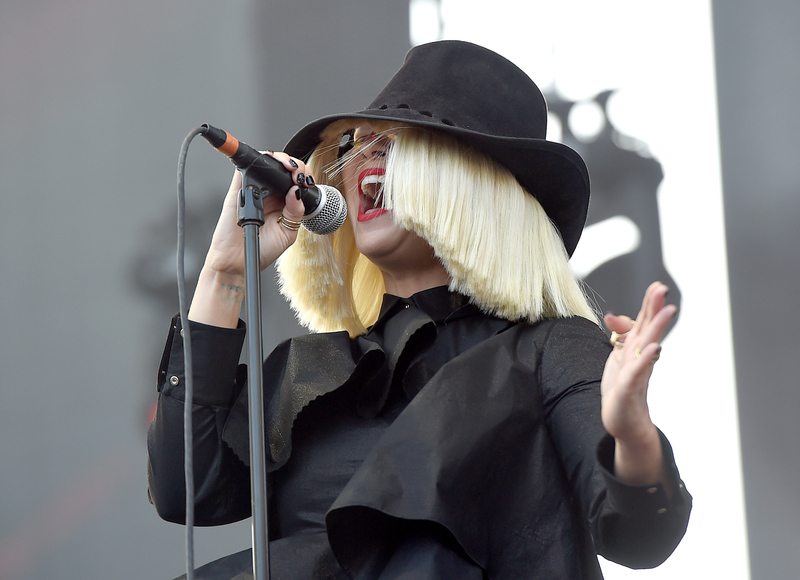 There's no official release date for This Is Acting yet, though Sia said during a web chat with fans at the end of March that it would "probably" drop in "early" 2016. "Alive" is available on iTunes now.